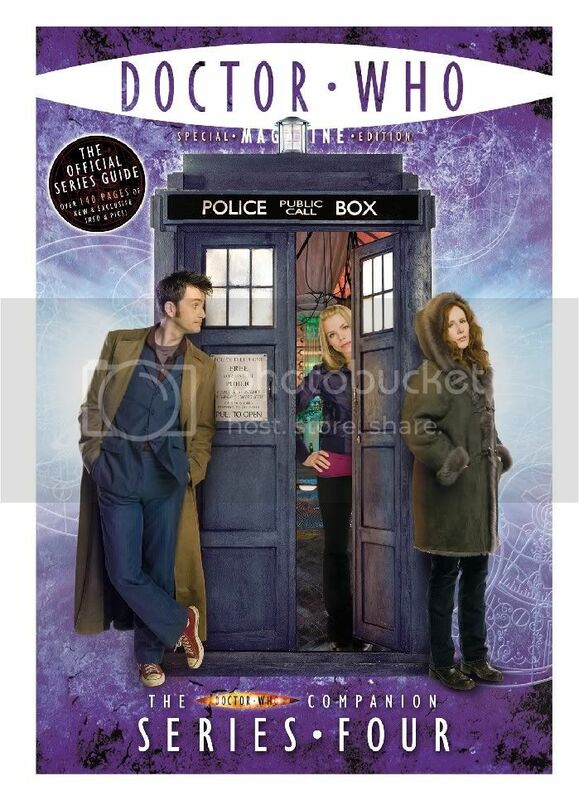 Panini have released the information for today’s release of the DWM Special Series 4 Companion. The Doctor Who Companion Series Four is the fourth of DWM’s in-depth Specials looking back over the latest season of adventures for our time-travelling hero. 2008 has been another astonishing year for David Tennant’s Doctor. Together, the Doctor and Donna have travelled through time and space, from Adipose Industries to the eruption of Vesuvius in ancient Pompeii; they’ve liberated the Ood and solved a murder with Agatha Christie; they’ve foiled the Sontaran stratagem and encountered the Doctor’s daughter; and with a host of old friends they’ve prevented Davros and the Daleks from destroying reality itself! With such spectacular stories, it’s not surprising that this series proved to be the most popular in Doctor Who’s 45-year history, with more Top 10 placings in the ratings chart than ever before. At 148 pages, this issue is the biggest DWM Special ever, and gives you a step-by-step guide to the making of all 13 episodes, as well as the 2007 Christmas Special Voyage of the Damned and the Children in Need scene featuring the Fifth Doctor, Time Crash. DWM has been given exclusive access to all the scripts and shooting schedules, to tell you what was shot when and where; what was left on the cutting-room floor and why; and even the truth behind a few of those rumours that hit the tabloids! Packed with anecdotes and comments from the men and women who make the programme, script extracts, deleted scenes, and a full list of cast, crew, transmission times and ratings, with hundreds of beautiful and previously unseen photographs, this is the ultimate guide to Doctor Who 2008.
a full cover can be seen here. This entry was posted on August 14, 2008 at 9:55 am and is filed under Doctor Who Magazine. You can follow any responses to this entry through the RSS 2.0 feed. You can leave a response, or trackback from your own site.